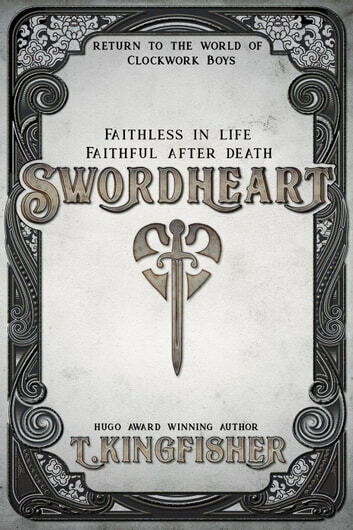 Return to the world of Clockwork Boys in an all new novel of sword, sorcery, and romance by T. Kingfisher! Halla is a housekeeper who has suddenly inherited her great-uncle's estate... and, unfortunately, his relatives. Sarkis is an immortal swordsman trapped in a prison of enchanted steel. When Halla draws the sword that imprisons him, Sarkis finds himself attempting to defend his new wielder against everything from bandits and roving inquisitors to her own in-laws... and the sword itself may prove to be the greatest threat of all. Wonderful! A great piece of fantasy. Can’t wait for the other two books! This book is hilarious and then it is horrifying. But you can still laugh when it’s over.